Mostly hand-drawn, abstract coloring pages and mandalas. I used to wake up every morning dreading the day ahead of me. Life was stressful. I would wish for the weekends during the week but once the weekends were here, they were never long enough to relax. As the weeks turned into years, I became a habitual worrier. My dreams were forgotten. My responsibilities became priorities. My priorities turned into burdens. How did I get to this point? I was not always like this. One day I was running down the hallways of my mind looking for a time at which I enjoyed life—a time when I truly looked forward to a new day. A few moments during different periods of my life came to mind. One of which being when I was a child and would spend hours everyday doodling and drawing on the dot matrix paper my father would bring home from work. I would grab some crayons to color in my doodles. The other moments were when I would lose time in my high school and college art classes. I would often be the first person to class and the last one to leave. Looking back at these moments I noticed I was most worry free when I was creative. There was a peace and freedom in being creative that sustained me from my daily burdens. Time would always stand still when I was doodling, drawing or painting. I wanted to get back to those moments. But more importantly I wanted to give those moments, moments of peace and relaxation, to others who may also find it difficult to de-stress. Color and Relax was born out of this. I am not an art therapist or a psychologist. I am a colorist who also happens to be a designer and illustrator. 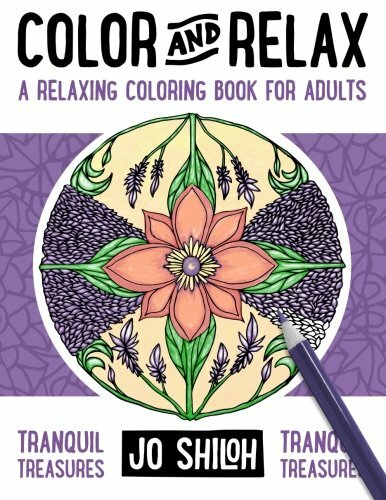 There are many like myself who believe coloring can be relaxing for adults. However, there are also many who believe coloring for grown-ups is nonsense.